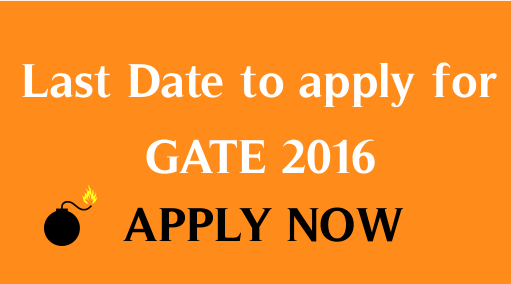 Today (08/10/2015) is the last date for enrolling GATE 2016. Application portal will be available till 23.59 hours. Candidates can use this opportunity for applying. Already the date has been extended and there won’t be further extended. Those who did not pay the fees can pay till 12th (12.10.2015) online. To generate the bank e-challan for fees payment 12.10.2015 is late date. For the generated e-challan , payment should be made on or before 13.10.2015 at the SBI counter. Check out the list of companies’ recruiting with GATE 2016 score. How to clear GATE exam in first attempt. Have problem in uploading photo and signature for gate application check this video or read this post. Contact us if you need any help regarding uploading signature and photo.